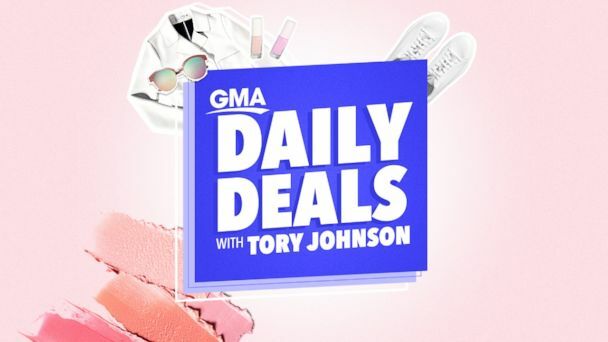 GMA Daily Deals with Tory Johnson: Discover a new deal every day online! We love Tory Johnson's "Deals and Steals" every Thursday on "Good Morning America" and now every Tuesday on the all-new "GMA Day." Now, Tory is bringing an exclusive collection of curated daily deals live to you online every day with "GMA Daily Deals." Through December 20, you can find a new deal here every day, Monday to Thursday. So, bookmark this page and check back! This is the place to treat yourself, tackle your holiday list, help you discover great stuff and save big bucks in the process. Don't miss Tory bringing the deals to you live every day on our GMA Facebook page live at 4:30 pm ET. Let's get to the "GMA Daily Deals"! You can find all of Tory's "Deals and Steals" on the special deals website, GMADeals.com. By clicking on these website addresses, visitors will leave Goodmorningamerica.com. The Shopify-powered web stores in the links are operated under different terms and privacy policies than Goodmorningamerica.com. ABC may receive promotional and financial consideration. CORKCICLE's sleek design and vibrant colors set it apart from traditional drinkware. Unlike other bottles, CORKCICLE uses three layers of insulation to make beverages stay cold or hot for longer. The canteen keeps drinks cold for up to 25 hours and hot for up to 12 hours, while the tumbler keeps cold for 9 hours and hot for 3. Choose from 16oz, 24oz and 25oz options. (10 percent of sales on CORKCICLE's pink products will benefit The Pink Agenda to support breast cancer research and awareness.) Shipping is $5.95 or free for orders over $55. Find all of Tory's "Deals and Steals" every Thursday on our special "Deals" website, GMADeals.com.